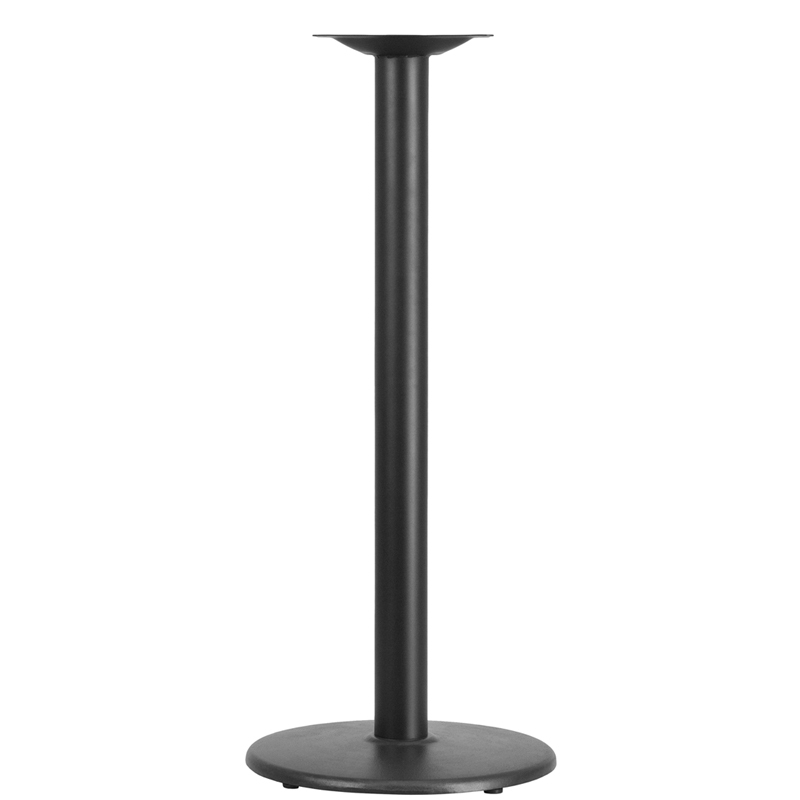 This round black bar height (42"H) table base is available in 2 standard widths. 18" diameter bottom, and 24" diameter. The 18" wide will accommodate both 24" and 30" round or square table tops. It features a 3" diameter column, and weighs 23 lbs. The 24" wide will accommodate both 30" and 36" round or square table tops. It features a 4" diameter column, and weighs 40 lbs.